Less is more… we’ve heard it a million times before, but is it true? We’re thinking maybe it is! A rising movement within society now is minimalist living and it’s proving to be quite an effective money saver. It’s not just a trend, it’s a legitimate way of life. It can assist you in finding freedom from fear, worry, overwhelm, guilt, depression, and the trappings of the consumer culture we’ve moulded our whole lives around. Just like the name suggests, minimalist living basically just means minimalising the number of materialistic possessions you have crowding your life. This doesn’t mean that you need to sell your car, your television, your favourite leather jacket, or even your hair straightener. It just means that you rearrange your priorities to focus more on the things that are completely necessary for improving your quality of life. All the excess stuff can go. Minimalist living isn’t just an aesthetic, it’s a movement and a mindset, and it applies to more than just clearing out the joy-free junk. A clutter-free space equals a clutter-free mind which means being able to plan and execute your financial goals with much more ease and success. We have put together a few tips on how becoming a minimalist can help you save money. Keep reading and you’ll find out how rejecting consumerism can help you improve your bank balance, and your overall happiness, significantly. Being able to reject social norms brought on by cultural pressure is fundamental for minimalist living. Saying ‘no’ allows you the ability to form your own style, away from social expectations. You might love that jumpsuit from H&M but do you really need it? It may be in style now but if you were to hang on to the $45 it costs to buy it, you’d have one less unnecessary item of clothing hanging in your wardrobe, and you’d still have $45 in the bank incurring that sweet compound interest. Being able to say ‘no’ is a great example of how becoming minimalist can help you save money. Saying ‘no’ to more things will allow you to realise what materialistic components of your life are the ones that add the most value. Maybe you don’t need a fancy car, an all-inclusive gym membership, or an updated version of the iPhone every time it comes out. At the end of the day, you need a car to get you from A to B, you have a free treadmill right outside your front door, and you need a phone to communicate (and take photos to post to social media). Part of minimalist living means accepting that, as long as your possessions fulfil their purpose, they don’t necessarily need to be the best looking or most expensive. Believe it or not, there is more power in reducing your spending than there is in earning more money. The more money you earn, the more you’re able to spend. However, if you don’t navigate where your money is going correctly, the amount you earn won’t make a difference to your financial stability. As a minimalist, earning more should mean that you are spending the same and saving more. Cutting down on your usual ‘guilty pleasures’ is exactly how becoming a minimalist can help you save money. Saying no to certain things, and cutting down on others, doesn’t mean that you must live below your expectations of life. It basically just means taking out what you don’t need and replacing it with more of what you do. Minimalist living is about prioritising access over ownership. For example, don’t buy a new ladder when you’re only going to need to use it a couple of times, borrow one from a friend or neighbour. When you’re wanting to update your wardrobe, try and organise a clothes swap with your friends or jump onto a buy, swap, sell website and trade your treasures for someone else’s. Minimalist living teaches resourcefulness as it urges people to ‘make do and mend’. Having the ability to fix something yourself will not only make you feel like an amazing mastermind, it will become quite exciting and save you money on replacements and repairs. Either rely on friends or family for equipment loans and repairs or pick up a ‘How to Fix Everything for Dummies’ book and educate yourself on even the most complex of repairs. Living small and saving big doesn’t mean you must deny yourself certain experiences, in fact, it’s the opposite. It gives you the opportunity to work out what it is you truly value, whether it’s travel, music, art, or home ownership. Minimalist living will help you get those things sooner and appreciate them more. Minimalist living is the intentional promotion of the things we most value and the removal of anything that distracts us from that. Now you know how minimalist living can help save you money, here’s how you can actually do it. Saying that you ‘should’ do something is what we do when we’re making an intellectual decision. ‘I should eat healthier’, ‘I should stop wasting my money’. You know you should change but that doesn’t necessarily mean that you will. The first step of minimalism is changing your intellectual ‘should’ decisions to emotional ‘must’ decisions. ‘I must eat healthier’, ‘I must stop wasting my money’. Once your shoulds have turned into musts, you will have then made a real decision about what you must change. Make a list of all the reasons you want to start minimalist living. Maybe you want to be able to pay off all your debts, buy a house or travel the world. Whatever the reason, write it down. This will be great leverage for when you’re feeling a little weak and wanting to give up on the simple life. It will remind you of what’s important and give you the motivation you need to keep working towards it. Walk through your house with a box and fill it with all the things that just sit there gathering dust, including any duplicates. Once you’ve filled the box, label it ‘Clutter’ and put it somewhere out of the way for 3 months. At the end of the 3 months, if you haven’t needed anything out of the box, or you don’t even remember what you put in it, get rid of it. You could either donate it for a bit of good karma or sell anything that might be worth something. Once you’ve cleared out all the things in your house you don’t need, declare one section of your place a clutter-free zone. Whether it be your coffee table, your bedside table, or your top draw. Use that one clutter-free zone to motivate yourself to keep living with less. That clutter-free table could then turn into a clutter-free room, and eventually a clutter-free house, then suddenly, you’ve started minimalist living. Most people have a section in their wardrobe where they put all the clothes they never wear. Start by going through those clothes and then either donate or sell anything that hasn’t been worn in the last 6 months. Then, anything that you don’t wear solely due to it being torn or damaged, use your new-found fixing skills to sew them up and continue wearing them. One great way to really test your commitment is to follow Project 333. This is a challenge, designed for minimalists to show them how unnecessary some things are. Project 333 basically means that you dress yourself with just 33 items of clothing for 3 months. The 33 items are inclusive of your day-to-day outfits, accessories, jewellery, and shoes. They don’t include your underwear, pyjamas, workout clothing, in-house lounge wear, or any sentimental jewellery (e.g. wedding ring). You just need to go through your wardrobe and pick the 33 items you wear the most and make sure you’re covered for 3 months. Consider that you are creating a wardrobe that you can live, work and play with for 3 months, then once you’ve picked your items, box up the rest, seal it tight and put it out of the way. Make sure you only include clothing that fits properly and is in good repair, however if anything does get damaged over the 3 months, either try your best to fix it, otherwise don’t feel like you can’t replace it – if that item is one of your 33 then it’s obviously something that you need, therefore something worth spending money on to replace. Clearing out the items you don’t wear, and following Project 333, will teach you how to value living with less, which will then lead you to cut down on the amount you’re spending on clothes, accessories and shoes. You’ll be aware of what’s necessary which should encourage reluctance when it comes buying anything that’s not. Avoid buying ‘all-in-one’ items that aim to replace other items. These products tend to break more easily and if one part goes, the whole thing is gone. Focus on buying quality items that have a singular purpose and will last longer. It’s best to spend your money on long-term value and high-quality products. Even if this means spending a little more at the beginning. Spending a larger amount to buy something that will last for years is always favourable over buying something cheap that you need to replace every couple of months. Re-adjust your budget to fit your minimalist living. A minimalist budget includes fewer lines items, with significant cuts to make do with less. Regardless of your income, you must always spend less than what you earn, otherwise, all your efforts become pointless. If you’ve cleared out 10% of what you own, then do the same for your budget. Realise how much money you need to spend just to survive (rent, bills, food, etc.). Then put everything else into your savings. When it comes time to treat yourself, you’ll be able to do so without it taking away from something else you want. Your initial goal must be to save at least $1000 to keep as your emergency fund. Having money put aside for emergencies will reduce financial stress significantly. If you have any unexpected expenses pop up (e.g. medical bills, fines, repairs), chances are, you’ll be able to cover it with your emergency fund and won’t need to subtract anything from your day-to-day budget. Ideally, you should have three separate accounts. These include, one for your living fund, one for your emergency fund, and one for your savings. You must also become more conscious of the purchases you make with your credit card. Owning a credit card can be very dangerous but also very convenient at the same time. So, as long as you know how to use it responsibly, there’s no need to get rid of it. Make sure, if you haven’t already, that you get a credit card that carries a rewards program. Therefore, whenever you make a purchase using your card, you’re receiving added value on top of what you’ve paid for. These include frequent flyer points, fuel discounts, gift vouchers, or cash back bonuses. Sometimes we can spend a fortune on buying ingredients to cook ourselves or our families delicious, versatile meals. It is nice to have a bit of variation in our diets but it’s not necessary to do this every day. Eat the same thing for breakfast for a week and then swap it for something different for the next week. Or choose 2 or 3 meals and rotate those ingredients for a week. This way you’ll save money on superfluous ingredients and reduce your food wastage. Come up with a meal-prep plan for the week. Make sure you include cheap ingredients like rice and vegetables, then cut out any unnecessary snacks and junk food. Do one big grocery shop per week to reduce the chances of buying things you don’t need. Another great way to cut down on clutter in the kitchen and save money is to grow your own produce. If you have space, plant your own basil, lettuce, onion, or potatoes; any ingredients that you use an abundance of and are easy to grow yourself. From the outside, minimalist living may seem difficult and pointless, and although it will provide you with a simpler life, living this way is not always simple. It does take a bit of self-awareness, sacrifice, and dedication but the results are well worth it. Minimalist living can help save you thousands in the long run. You’ll be able to buy your dream house, take that dream holiday, or be completely debt free a lot faster than you’d originally expected. 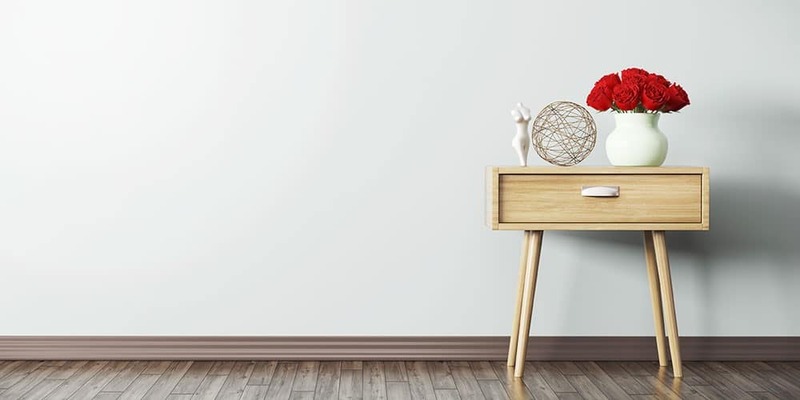 If you’re still in need of a little more motivation or information on how minimalist living can help you save money, take a look at these Ted Talks on the subject of minimalism and why it could be the best thing for you. You can also follow The Minimalists for further tips on minimalist living. How minimalist living can help save you money Overall rating: 4.8 out of 5 based on 60 reviews.